This year the European Society for Clinical Microbiology and Infectious Diseases joined forces with the International Congress of Chemotherapy to hold a combined European microbiology congress in Milan. The combined resources of both organisations resulted in a busy four-day programme that attracted a huge turnout from across Europe and beyond. The critical mass of specialists is a big drawcard for anyone who wants to keep up with recent developments in clinical microbiology and infectious diseases. Unlike some of the larger northern hemishpere meetings, ECCMID brings together clinical and laboratory elements of our discipline, partly explaining the strong attendance from Australasia and the Western Pacific. Amoeba: root of all evil? The stand-out plenary lecture was Didier Raoult’s talk on amoeba as a progenitor of infection which went far beyond the Legionella/Acanthamoeba collaboration, to expound ideas of divergent phylogenic origins of microbial lifestyles. Big picture stuff delivered with panache, for which a hot link and a few lines in a blog is a very poor substitute. Raoult has a story worth following in detail. MALDI-TOF. For the clinical laboratory, PCR-based assays had to play second fiddle for a change. The hot item was bacterial proteome analysis by matrix assisted laser desorbed ionisation-time of flight mass spectrophotometry (MALDI-TOF analysis) which is being used by an ever-widening laboratory pool to rapid bacterial identification. Comparisons of the two main equipment platforms are tackling practical clinical lab tasks, as major centres work out where this game-changing technology fits in the overall scheme of things. Large data libraries are already available on which to base identification of unknown bacterial isolates. As with all novel techniques, weakness are starting to turn up, some of them specific to one or other equipment platform. These include identification of some enteric Gram negative bacteria including Salmonella, Shigella and E.coli. Other bacteria that pose difficulties include Strep. pneumoniae and anaerobic bacteria. Interestingly, the method appears to work poorly on CSF, possibly because it is not an amplification technique, like PCR. Multiresistant Gram negative bacteria. The gathering storm of MDR Gram negatives featured in a series of workshops, symposia and other sessions. Prominent bacterial species causing problems of a multi, extra and pan-resistant nature are Pseudomonas aeruginosa, Klebsiella pneumoniae and Acinetobacter baumanii. Resistance mechanisms of particular concern were carbapenemases, AmpC betalactamases, and extended spectrum betalactamases but efflux pumps, porin change and the role of mobile genetic elements in dissemination of multi-resistance also gained a dishonorable mention. While molecular manipulation of antibiotics to enhance resistance to these resistance mechanisms, and non-antibiotic agents are being tried to enhance susceptibility, the immediate outlook appears grim. Food & water microbiology. The working party of food & water related infections hosted a training workshop on infections associated with recreational waters which made the Micrognome even more nervous about stepping barefoot onto the beach. A more detailed report will be provided on the potential risk of distributing multiresistant enteric bacteria via drinking water and food. 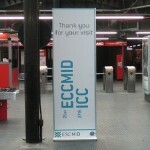 These topics were covered by a series of speakers in a surprisingly well-attended symposium on the last day of the ECCMID congress, reflecting growing concern in Europe over where this issue may be headed. 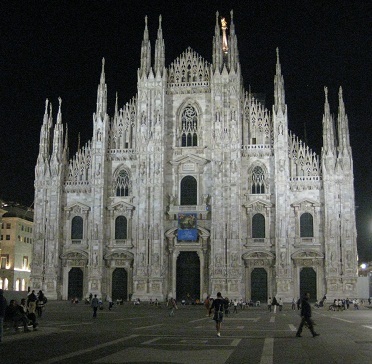 Milan, the venue for this year’s ECCMID, is perhaps best known for its contribution to fashion and less for culture, cuisine or fine art. 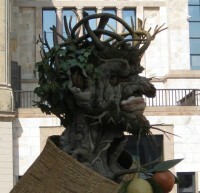 Running concurrently with the congress was an exhibition of works by Arcimboldo; a Renaissance artist renowned for his grotesque portraits composed of items from the natural world. His lesser known work included some of the most delicately observed illustration of natural history imaginable, long before the explosion of interest in taxonomy that occured during the 19th century. The Micrognome wonders what Arcimboldo might have made if he had had a microscope to assist his observations of readily ab=vailable flora and fauna. I wanted to write down a quick word so as to express gratitude to you for those magnificent strategies you are writing at this website. My rather long internet research has at the end been rewarded with sensible facts and techniques to go over with my family and friends. I would believe that we site visitors actually are unequivocally fortunate to be in a perfect website with very many outstanding professionals with great pointers. I feel extremely privileged to have encountered the site and look forward to so many more excellent minutes reading here. Thanks once again for a lot of things.